Hotel Century Old Town is situated in the very center of magical Prague, next to the Old Town Square, where the world famous medieval astronomical clock is mounted on the southern wall of the Old Town City Hall. The hotel is superbly located giving a unique opportunity to discover Prague's cultural attractions, sights and buzzing nightlife scene. The Municipal House, Kafka Museum and Charles Bridge are just around the corner. 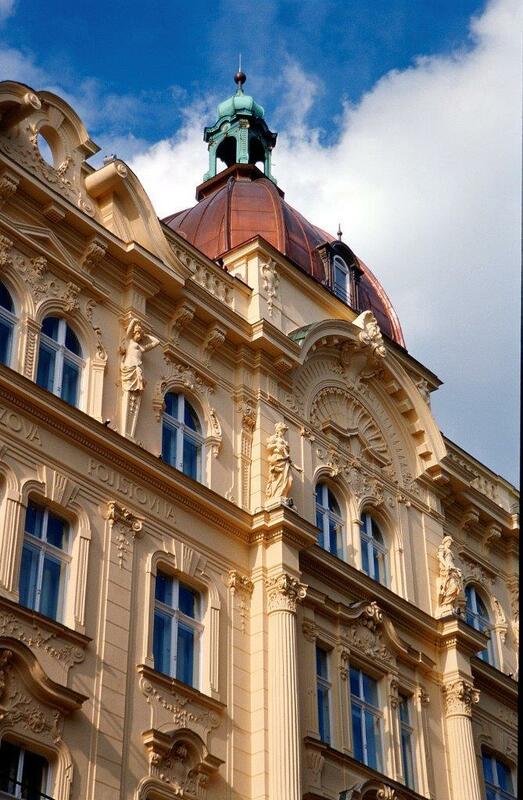 The Neo-Baroque building was built in the 19th century by Alfonse Wertmuller, a famous architect in Prague. Formerly, it was the office of the Workers' Accident Insurance of Kingdom of Bohemia, where Franz Kafka worked as an insurance clerk from 1908 to 1922. His spirit can still be felt in the hotel, as his bronze bust welcomes guests in the lobby in front of the majestic stairs, which the writer climbed time and again. This listed 19th century building turned into a hotel in 2002, and became part of the MGallery by Sofitel in 2009. A sculpted Neo-Baroque façade and the spectacular stairway, with its columns, marble steps and wrought-iron banister are characteristic features of this impeccable building. Thanks to the famous French interior designer Ana Moussinet, the hotel has completed a metamorphosis, retaining its grandeur and original classical features, the stunning Neo-Baroque interiors gaining a contemporary style, perfectly matching the rich history of the building. Discreet reminders of the building’s historical atmosphere have been integrated within the design such as Franz Kafka’s random patterns, reminiscent of ink lines and splashes. His inspirational quotes are displayed on the hotel’s walls. 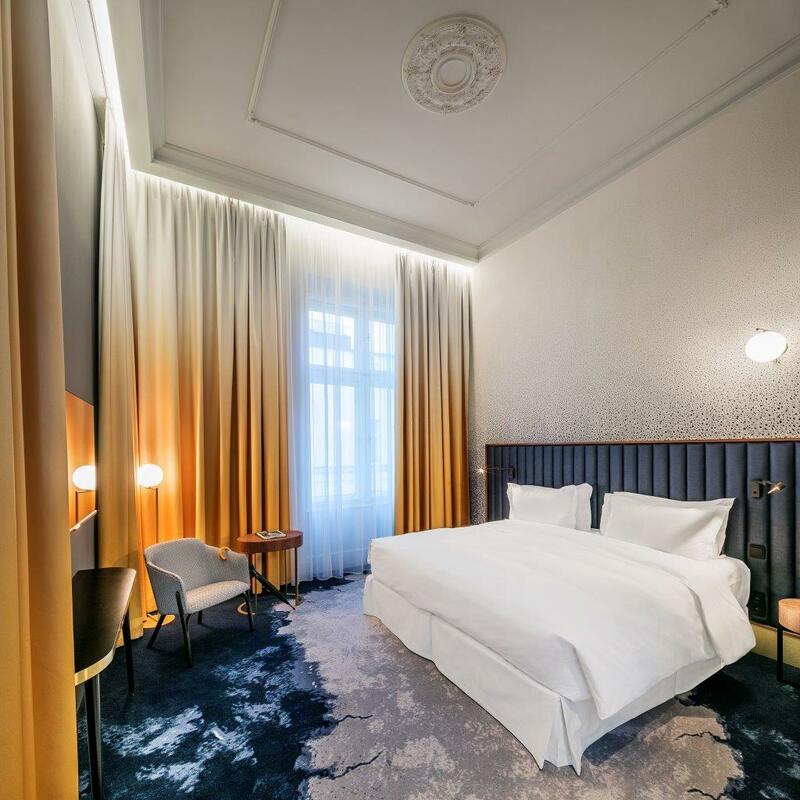 His presence still lingers in the Kafka Suite, which used to be the writer’s office for many years and is now an exclusive suite with a contemporary design, inspired by Art Deco and mid-20th Century Cubism. Renovation resulted in 169 rooms refurbished into 5* room categories from Classic to Suite; along with new design of Living Room, Restaurant and Bar. The hotel’s interiors are spacious and illuminated, with marble parquet, glossy black and gold decorative features, deep green velvets and sober lines. Long corridors featuring artistically geometric carpet patterns are a refreshing and stylish blend of classic and contemporary elements. Guests can relax in the luxurious Le Dome Suite, round and cosy cocoon under the dome and feel on top of the world surrounded by the thousand spires of Prague. The whole Bar concept has changed and the space has been rebuilt. The main inspiration for the new Hedgehog bar ambiance and bar services was derived from the legendary Czech conundrum "The Hedgehog in the Cage", which is often portrayed in comics, movies and TV series. It is a mysterious story of a plan of constructing a flying bicycle hidden inside a steel cone in shape of a hedgehog in a cage. Guests can enjoy The Flying Bicycle - a cocktail served in its cage as a metaphor of the famous Czech puzzle. 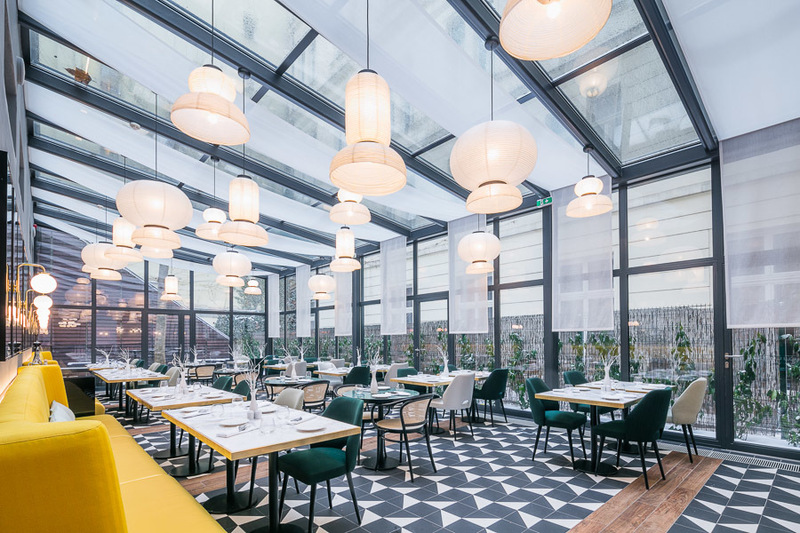 The seasonal terrace has turned into a Glass Veranda available throughout the year and on level -1, a brand new fitness room was created. Hotel Century Old Town Prague is now a breathtaking sight in one of the most beautiful cities in Europe. MGallery has 90 existing fascinating addresses in addition to 30 others under development. Each hotel is inspiring, enhance local discovery and shapes memorable moments. With a compelling mix of Heritage, Serenity and Signature hotels, each MGallery is original with its own story to tell. MGallery will expand its collection with captivating new hotels in the coming months including MGallery Leicester Square in London, UK; MGallery Doha, Qatar; MGallery Dubai in the UAE; MGallery Livorno, Italy; and MGallery Istanbul, Turkey. MGallery by Sofitel is AccorHotels’ collection of inimitably enchanting, unique boutique hotels to discover the world and beyond. MGallery by Sofitel has 90 unique and fascinating addresses in 24 countries around the world, all of which are havens for those who relish off-the-beaten-track experiences. Each address is remarkable for its singular personality and deep-rooted local history. AccorHotels is a world-leading travel & lifestyle group and digital innovator offering unique experiences in more than 4,100 hotels, resorts and residences, as well as in over 10,000 of the finest private homes around the globe.